Raptor (Rap) was the foundation sire to the breeding program HaysHill Shepherds. His extremely masculine headpiece and pro-sternum are some of the qualities that embody a male shepherd, he also has a beautiful shoulder and is clean on both ends. Beyond his physical characteristics his temperament was outstanding, he helped raise a generation of our nephews and every litter that has been raised here. 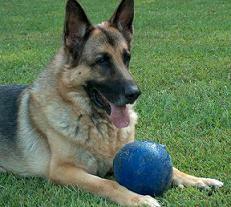 He was retired at 13 1/2 years but enjoyed many years in the All-Breed and the Specialty Rings.